So approximately one-third of all visible light is considered high-energy visible (HEV) or "blue" light. Anterior structures of the adult human eye (the cornea and lens) are very effective at blocking UV rays from reaching the light-sensitive retina at the back of the eyeball. In fact, less than one percent of UV radiation from the sun reaches the retina, even if you aren't wearing sunglasses. On the other hand, virtually all visible blue light passes through the cornea and lens and reaches the retina. Although more research is needed to determine how much natural and man-made blue light is "too much blue light" for the retina, many eye care providers are concerned that the added blue light exposure from computer screens, smartphones and other digital devices might increase a person's risk of macular degeneration later in life. Because short-wavelength, high energy blue light scatters more easily than other visible light, it is not as easily focused. When you're looking at computer screens and other digital devices that emit significant amounts of blue light, this unfocused visual "noise" reduces contrast and can contribute to digital eye strain. Research has shown that lenses that block blue light with wavelengths less than 450 nm (blue-violet light) increase contrast significantly. Therefore, computer glasses with yellow-tinted lenses may increase comfort when you're viewing digital devices for extended periods of time. The lens in the adult human eye blocks nearly 100 percent of the sun's UV rays. As part of the normal aging process, the eye's natural lens eventually blocks some short-wavelength blue light as well — the type of blue light most likely to cause damage to the retina and lead to macular degeneration and vision loss. If you have cataracts and are about to have cataract surgery, ask your surgeon what type of intraocular lens (IOL) will be used to replace your cloudy natural lens, and how much blue light protection the IOL provides. After cataract surgery you might benefit from eyeglasses that have lenses with a special blue light filter — especially if you spend long hours in front of a computer screen or using other digital devices. Examples of blue light filters for digital devices include: Eyesafe (Health-E), iLLumiShield, RetinaShield (Tech Armor), Retina Armor (Tektide), Frabicon and Cyxus. As mentioned above, computer glasses also can be helpful to reduce blue light exposure from computers and other digital devices. These special-purpose glasses are available without an eyeglass prescription if you have no need for vision correction or if you routinely wear contact lenses to correct your eyesight. Or they can be specially prescribed to optimize your vision specifically for the distance from which you view your devices. Also, a number of lens manufacturers have introduced special glare-reducing anti-reflective coatings that also block blue light from both natural sunlight and digital devices. You also may want to consider photochromic lenses, which provide seamless protection from UV and blue light both indoors and out and also automatically darken in response to UV rays outdoors to increase comfort and reduce glare. 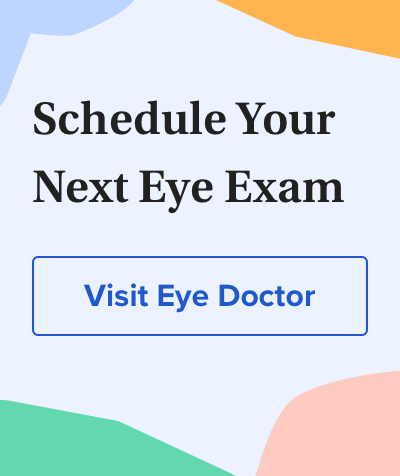 Ask your eye doctor or optician about which type of vision correction and lens features best suit your needs for viewing your computer and other digital devices and protecting your eyes from blue light. The lowdown on blue light: good vs. bad, and its connection to AMD. Review of Optometry. February 2014. The role of UV damage in ocular disease. Review of Optometry. October 2012. The contrast sensitivity function measured under blue haze conditions. Investigative Ophthalmology & Visual Science. March 2012. Retinal light toxicity. Eye. January 2011. Superior short-wavelength contrast sensitivity in asthenopics during reflexive readjustments of ocular accommodation. Ophthalmic & Physiological Optics. July 2007. Contrast is enhanced by yellow lenses because of selective reduction of short-wavelength light. Optometry and Vision Science. February 2000.